Holding my breath while hiding in a dumpster, cackling while chasing people with an electrified bat, and having my head slammed against the walls of a portable toilet. 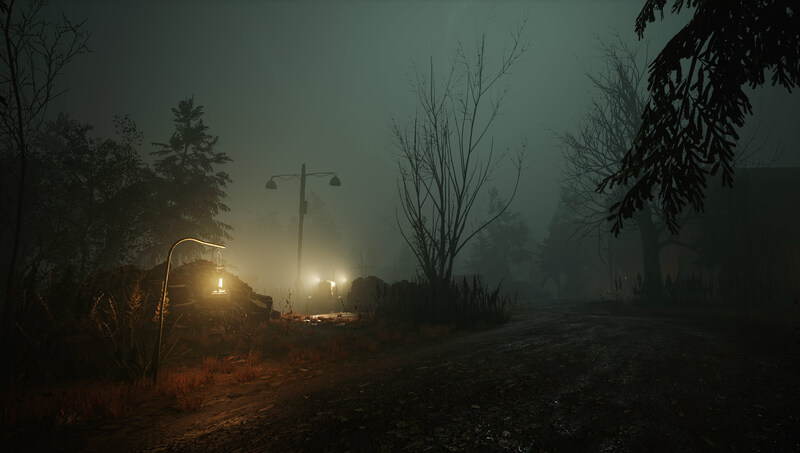 Just another day in asymmetric horror survival title and Kickstarter success story Hide or Die, recently enjoying its first closed beta which I had the privilege to jump into and enjoy. Hide or Die brings up to sixteen players together in a bid to fix fuseboxes and escape from a killer hunting them down, but does so in a clever way that simultaneously encourages players to both work together to progress and against each other, hoping others will die off before they do. The core gameplay loop for Hide or Die is straightforward: once a lobby is full, players disperse from their starting bunker and scatter, looking for fuseboxes to switch on in order to activate escape routes to a temporary safezone, bridging the current area and the next. A short time after everyone has started roaming and exploring, a large orb-like object called the “darkness” lures players to its location with streams of particles billowing towards it. 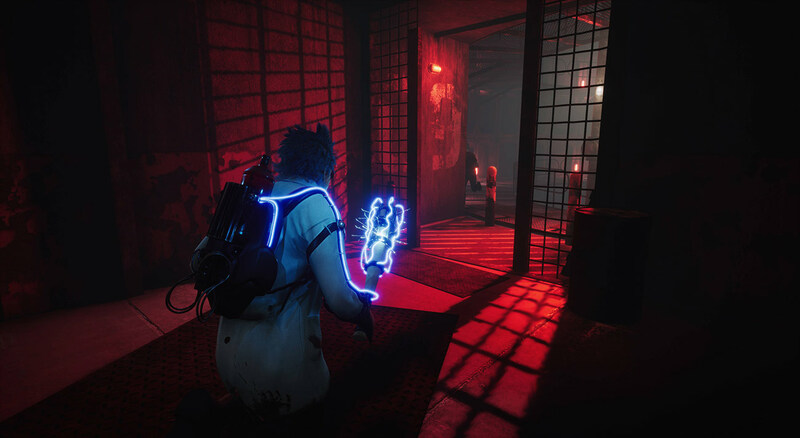 Once the darkness arrives, players can choose to ignore it and focus on their fusebox objectives or risk running towards it, with the first person to arrive transforming into a killer ready to hunt down and take out the other players. This killer then has until the next area to hunt and eliminate their prey, reverting back to a regular survivor if the next safezone is activated. The cycle then continues in each subsequent procedurally-generated zone, with any player potentially becoming the hunter, until just two players are left. This triggers a special showdown in which the final survivor can loot and use single shot guns, creating a stand-off situation where either player can be killed and a winner declared. One of the clever mechanics Hide or Die brings is its use of in-game smartphones. You’re able to pull out your phone at any time, toggling its flash to function as a poor man’s flashlight in dark areas, though it carries the risk of making you very visible to hunters from a distance. The more useful function of the phone however is its use of messaging, as all current survivors exist in and can freely type as a group chat — letting everybody know they’re near a fusebox, where the hunter has been spotted, or just to make silly conversation. This phone messaging adds a fun camaraderie with people bantering or crying about a hunter coming their way, and there’s a very nice touch where your phone will state each time a particular player has left the group chat, which means they’ve just been killed. The game is still in an early, barebones state — developers VecFour are going the traditional beta route of actually having people test, break and give feedback on features and mechanics for the developers to then iterate upon, rather than the contemporary definition where a game is virtually finished and the beta synonymous with trial or demo. 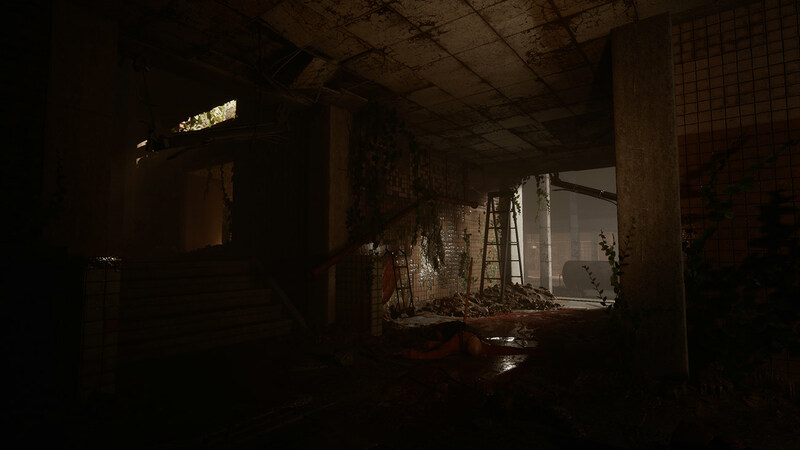 Nonetheless, it’s already shaping up to be a very fun experience, and certainly a novel one; where Last Year is embracing a full Left 4 Dead-esque arcade feel, Hide or Die is heading squarely in the opposite direction, embracing tension and atmosphere. I can’t wait to see how it develops.